This coconut chicken curry is packed with delicious flavors and made easy on the stovetop. I officially have a two year old on my hands. Grey turned two this past Saturday (I wrote a short re-cap + some pictures here if you are interested!) and he even learned how to hold up two fingers to show us his age. Occasionally he holds up two fingers on each of his hands, but hey, we’re getting there. He had a blast unwrapping presents, getting sung to, eating cake + ice cream, and playing with the ridiculous amounts of balloons around the house. As much fun as he was having, I’m pretty sure I was enjoying watching even more! Anyways let’s get to the food!! I promised myself when we left Australia I would make a lot more “curry” dishes. The husband and I became completely obsessed with Thai food and ate it more than twice a week while we were there. We still haven’t found a restaurant here like our favorite one in Perth so I decided it was time to try and re-create some of our favorite recipes. First up, this coconut chicken curry. It’s ultra flavorful and pretty easy to make. While it takes a while to simmer and thicken, it’s so worth it. Cube your chicken into bite-sized pieces (remove any fat). Rub the salt and pepper into the chicken pieces. Heat up 1 tablespoon of the vegetable oil with the curry powder in a large skillet over medium-high heat. Set your timer and stir together over the heat for 5 - 7 minutes. This helps the flavor develop. Add in the chopped onion, minced garlic, ginger, chopped red pepper, and remaining tablespoon of oil and continue to stir for another 5 minutes or until the onion is translucent and the pepper is tender. Stir in the drained diced tomatoes and cook for another 2-3 minutes. Add in the chicken, reduce the heat to medium, and cook until the chicken is no longer pink inside (about 7-9 minutes). Pour coconut milk, tomato sauce, and sugar into the skillet. Stir to combine the ingredients. Reduce the heat and simmer (I left it uncovered), stirring every 15 minutes or so for about 50-60 minutes or until the sauce is thickened. If desired top with coconut and red pepper flakes for an extra kick. Serve over rice of your preference. Recipe adapted from Betty Crocker 300-calorie dinner cookbook and AllRecipes. Happy birthday to Grey! This curry looks like a great way to celebrate! I love the flavors in here, Chelsea! Sounds delicious! Happy belated birthday to your son, mine turned two in June, and they start changing so much, even faster, its so much fun! Love all that coconut that you added to this curry, I made something similar a few weeks ago, I must add toasted coconut too! Umm party not creative?? What?? SO CUTE! If that’s not creative, you don’t even want to see what my idea of creative looks like. 🙂 It looks like little Grey had a blast at his party. And this curry? Well, I’d like it now please! Glad your little boy had a great birthday! and thank you so much for sharing this, I can never seem to make it to my favorite Thai place, and I have a great recipe for pad thai, but not chicken curry. Pinned! This chicken curry is right up my alley, Chelsea! It looks delicious! So glad to hear your little boy had such a fun party! Hope Grey had an amazing birthday! Everything looked so adorable! I love coconut curry and yours looks perfect for dinner tonight! This sounds amazing Chelsea- I love anything curry! Hope the little one had a good birthday! Happy (belated) birthday to your son! I would sing the “Happy Birthday song”, but apparently it is protected by copyright. This curry looks amazing! I have been eating curry pretty much every week for the past few months, but it has always been the same kind. This looks like a great recipe to add to my regular rotation! 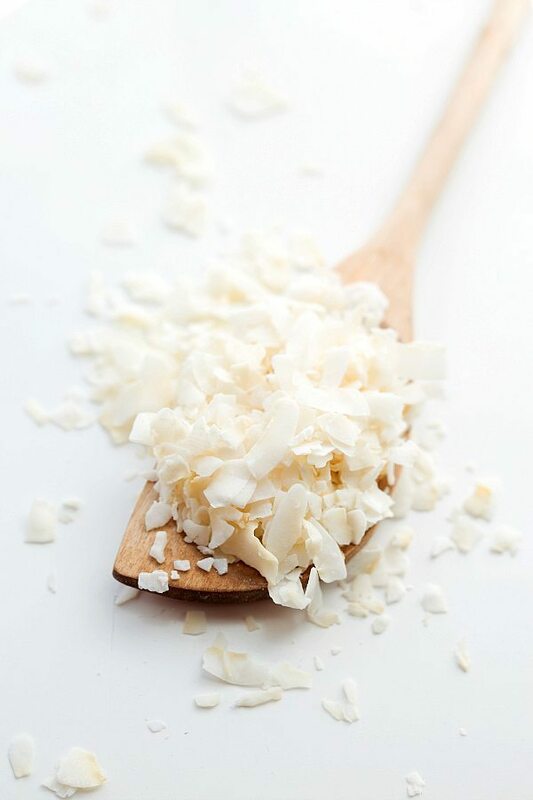 We’re super into coconut flavors this summer and have been embracing coconut water, coconut chips, and coconut milk! What better way to keep our affair with coconut going than this recipe. Especially love that the coconut sauce isn’t super creamy or taking over the chicken. We are so excited to try, and will definitely be topping with Dang Coconut Chips!